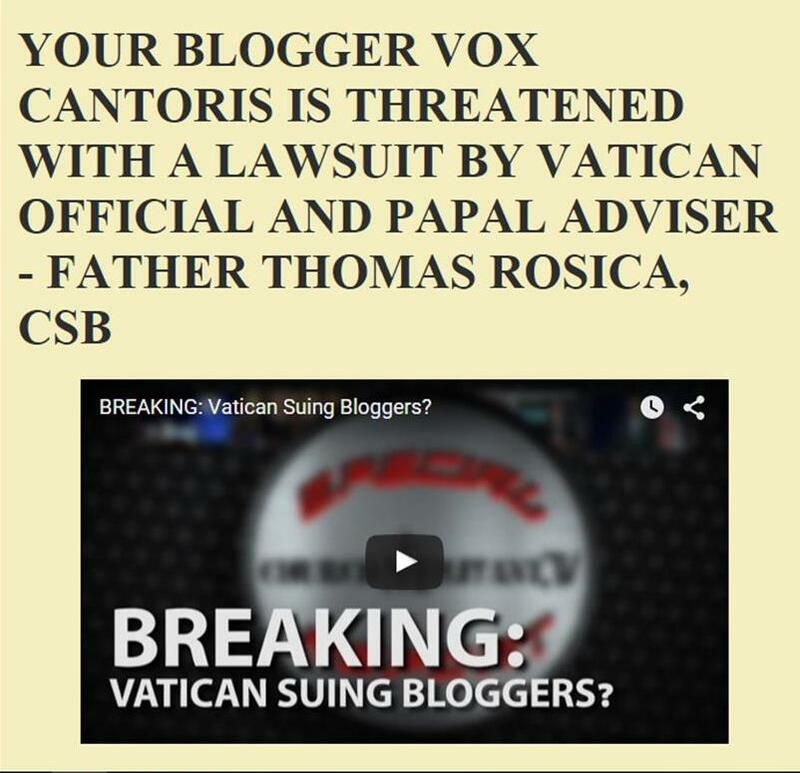 Vox Cantoris: Pope Francis: Life in prison is a death sentence - and now imprisonment is "torture"
Pope Francis: Life in prison is a death sentence - and now imprisonment is "torture"
The post below was published on October 23, 2014. It was due to outrageous comments by Bergoglio of Rome on the matter of life in prison. He has again opined on prison and sentencing that imprisonment is an "instrument of torture," unless it has a future of "hope." Once again, this man proves he has no business being the Bishop of Rome and Vicar of Christ. The first duty of the State is the safety of its people, from those who would invade it from outside and those who would act against the citizens from within. The State has failed in both of these. Not only does this Bergoglio want to see Europe overrun with migrant peoples who will undermine and destroy the already weak Christian culture, he cares not about the safety of the citizens from those who would do them ill. At least, he's consistent. Does he call these men and the invading hordes to Christ? Pope Francis received and addressed the International Association of Criminal Law. The Holy Father condemned Capital Punishment and life imprisonment. What does the Catechism of the Catholic Church say about this? “All Christians and people of goodwill are called today to fight not only for the abolition of the death penalty be it legal or illegal, in all of its forms, but also for the improvement of prison conditions in the respect of the human dignity of those who have been deprived of freedom. I link this to the death sentence. In the Penal Code of the Vatican, the sanction of life sentence is no more. A life sentence is a death sentence which is concealed”. I will quote a few of the names of the most heinous serial killers in Canada and the United States. Holy Father, with all respect we hear much from you about justice and mercy. Where is justice and where is mercy for the families of their victims which will until they die, live a life sentence? With all respect, Holy Father, you have the right to an opinion but to teach this, is another matter. Are you planning a rewriting of the Catechism of the Catholic Church because quite "frankly" you are clearly in disagreement with this magisterial document. Life in prison is like Hell. Those there put themselves in it. I have said it before and I'll say it again. Francis sounds just like a Gregory Baum disciple at an OECTA conference. Every catholic doctrine, even De Fide doctrine, has an expiry date. He suffered a setback last week. But he knows that most of the "Catholic" world is in his corner. Like a spoiled child he won't stop until he gets his way. In addition to justice issues, the pope is incorrect also because violent criminals need to stay permanently incarcerated to protect the public from harm. Indeed Slick; as the CCC clearly states, " defending public order and protecting people's safety." He chooses to set aside that which he does not like. 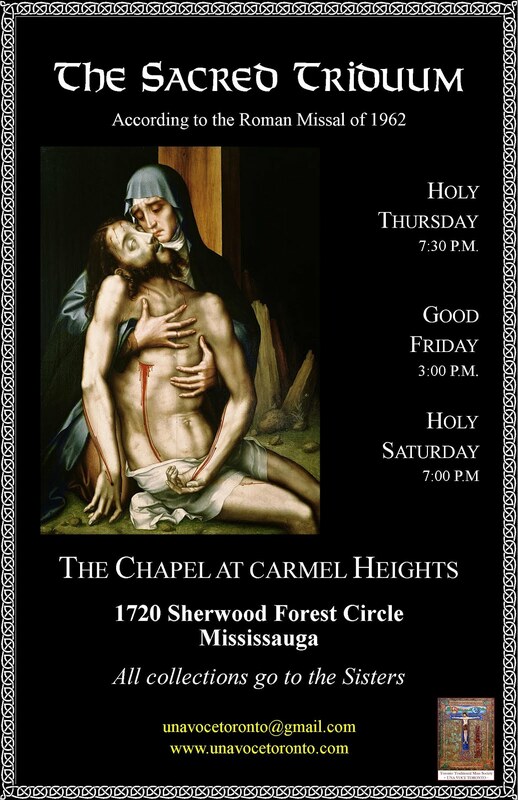 Holy Thursday's ritual as an example. Imagine how this made victims of violent crime feel...Many of (us) have our own form of a "life sentence." And in my case the crime was committed while the offender was released on parole.. While I have forgiven him, the offender changed not only my life forever, but my entire family. Were it not for my choice to pay the price, come forward and see him placed behind bars for 2 consecutive life sentences, he may have been freed (again) only to give another woman a life sentence. I don't know the case or where you are but I will say a prayer for you right now. Thank you for posting this comment. It is a very sad time for our Church when our Pope can make such statements with no regard for the victims of the monsters listed above or the monsters known to people such as yourself. God bless you this Christmas and may you find peace in Him who came to save us. Yet STILL the peanut gallery stands behind this man. I remember the early months, when nobody knew exactly who this person from Argentina was, and we couldn't believe our ears. A "wait-and-see" attitude was OK, for a while. But now that the staggering truth is right before our eyes--namely, that a man in a white zuchetto consistently sides with evil--why are people still defending him? Our Lord stated unequivocally: "He who is not with me is against me." If you are not now against Jorge Bergoglio, you are against Jesus Christ. The Jesuits was founded under obedience to the principles of St. Thomas Aquinas Bergoglio is rebelling against the order of St. Ignatius of Loyola. I suppose I'm in quasi-agreement with Bergoglio (!) that there should always be hope, and I know you are, too. One great example is the case of Alessandro Serenelli, the murderer of Maria Goretti. The problem is one of emphasis and the relentless politicization of the question. And, of course, Serenelli wasn't saved by a university degree, he was saved by God. Any Pope should use such an opportunity to implore the prisoners to turn to God, not to publicly posture about the unfairness of the system or whatever. Yes, Vox. Bergoglio 'sets aside what he doesn't like'. Bergoglio is "cafeteria Catholicism's" poster child on steroids. Such papal "logic" can lead to the very, very grave error into believing that Hell is empty. The only 'justice' in this man's world is HIS version of 'justice' that he employs to persecute the faithful, and especially his very own Priests. His MERCY is only for heinous acts of inhumanity and debauchery. Faithful Catholic Christians only deserve HIS JUSTICE. No 'mercy' for them!!! Does our pontiff eat bland and unappetizing food on a regular basis? That's what he's become to me now: bland and unappetizing. He bores me. There is very little of substance coming from him. One of the key arguments against the death penalty when society has the means the avoid it is precisely that it has a future of hope of conversion and repentance. The longer you can stew in your own juices, the more likely you are to either see the light or have someone show you the light. Prison ministry has born many fruits including some hardened terrorists. However, according to Pope Francis' own argument, if there is no future of hope of conversion and repentance, the death penalty is encouraged to avoid prison being used as an "instrument of torture". You can't have it both ways. The reason the death penalty has always been allowed since the time of Moses is precisely because life is so precious that the only recompense for a life taken is a life. This pontificate is a hoax. Followers of Karl Marx & Freemasonry NWO. Where is the holiness & call to repentance/conversion in any of this man's homilies? What has he done to spread the Good News to Mankind? Has he said anything about the continuous persecution suffered by faithful Catholics/Christians? Not that I can recall. Asia Bibi, Fr. Tom Uzhunnalil, the priest & his congregation from the Philippines, the faithful in China, ME, Far East, etc. What about the burned out churches, desecration of holy places, death of a priest celebrating Holy Mass & the countless civilian deaths & kidnappings by the same ISIS terrorists marauding Europe? What also of the satanic masses, sodmite drug parties, active homosexual priests urging the catechism to the changed to accommodate their perversion? Has he no concern that the Vatican itself can inflict persecution, i.e. Fr.John Gallagher for turning over to the Florida Police a sodomite priest & being suspended & ostracised by his Bishop & Cardinal O'Malley for it? Does he approve of the excommunication imposed on an eighty-eight year old man whose only crime was to uphold the faith which PF is also charged with upholding? What about NO Bishops who disallow TLM because of their inflated Pride & just because they have the power to do so (no Diocesan priest will go against them for fear of severe retribution)? How can he take this line when he continuously entertains the enemies of Christ - Emma Bonino, Paul Ehrlich, Huang Jiefu, Bernie Winters, Obama, Trudeau etc. etc? Does he consider that we are all complaining, stupid, rigid, hard-hearted followers of the old law & should be exterminated as he considers he knows better than those who wrote Scripture (there were no recorders in those days, so no.one can be sure). Is he not the cunning one we were told to avoid? Where is the promised correction? If there has to be a time delay between the Dubia & it, then why not at least publicly address each & every incidence of PF's heretical teaching? "Don't do the crime if you can't do the time" applies. The same goes for those who breach the Ten Commandments without exception. Justice comes before mercy & requires repentance. When is PF going to publicly repent of his sins against the One Holy Catholic & Apostolic Church founded by Christ Our Saviour over which he is the elected supreme ruler? His time on earth is coming to an end. Does he believe in God? It is hard to believe he does. If not he knows, as we do, that he shouldn't be occupying the Seat of Peter. The effeminate Hierarchy knows this also. When will they all come out from their hiding places to stand with Christ? I remember reading that Padre Pio was telling a priest (cannot remember who at the moment) to 'take courage' because 'Masonry has entered the Chair of Peter'. That was when Paul V1 was in the Chair. Coming from Padre Pio, this statement is hard to doubt. He is one of the greatest Saints in the Church and one of the greatest if not THE greatest mystics in the Church. This is consistent with the Marxist belief that a man is an outcome of external conditions. According to this, thieves and serial killers, pedophiles and sodomites must do what they feel like doing. It is proposed that we are not born sinners equipped with free will, which enables us to reject sin, but we are predetermined by our conditions to become what we become. Should the conditioning be removed, we will be innocent as doves. If we had no other choice but to do what we did, no one deserves punishment for what he did - except the one who disagrees with the proposition. Fortunately for me, I was born into a communist utopia, a localized one, not the global kind Bergoglio is advocating. I saw the 'innocent' human nature revealed after removal of unjust conditions. The laziness, dirt, theft and lies following the overthrow of personal responsibility, private property and God-given law are hell not earth, not heaven, as foolish (if not foolish, then definitely evil) Bergoglio wants us to believe. Spend 30 minutes hearing the glories of Vatican II and Saint Roncalli. Been murdered is a death sentance ,those who are the victims of violent crime and the relatives of murder victims have to deal with the effects for the rest of their lives.The perpetrators are now the victims. Edward Feser just wrote a book with Joe Bessette in defense of the legitimacy of capital punishment. They have both given a number of interviews on the subject like this one from EWTN. That prison is like "torture" (meaning, it is something inherently unfair) is exactly what the "Antifa" crowd keeps saying. And what else--according to Bergoglio--is like "torture," too? The Sacrament of Penance, of course. Fair is foul, and foul is fair. What do you expect from a man who doesn't believe in Hell? What's annoying is that the same fool who doesn't like the death penalty should prefer that souls should be annihilated instead. Maybe he imagines this as a very merciful euthanisia. A final solution to the just God problem. How much do you want to bet that purgatory is off the table too? @ Paul Morphy : prison should be about punishment and reformation. Punishment for the crime committed, and reformation so that the incarcerated will never again break the law. Ana is right. This papacy is completely lacking in holiness. It is a hoax. Here is my professional opinion. Life Without Possibility of Parole (LWOP) is the only thing that makes abolition of the death penalty thinkable. The best argument for the death penalty is that paroled murderers kill again when they are paroled. This does happen (without LWOP). LWOP means they do not get out (and they don't) and have no opportunity to kill people. (Escapees & in-prison crimes are only a good argument for executing everybody. Death Penalty defense lawyers know that pleading a defendant out to LWOP means he is going to out only in a box. Same as execution, just delayed. That's why it is a harder sell to the defendant than to the prosecutor. Defendants have a greater horror of growing old in prison (which are really horrible places to even visit, at least max sec ones) than execution. They all turn into Patrick Henry "Give me liberty or give me death." So, Francis is correct, LWOP is a stealth death sentence. But anyone who wants to see abolition is stupid to try to do away with LWOP. Without it, I doubt many of the jurisdictions that have abolished the death penalty would have ever found the political will to do so. Certainly not my own (Illinois, 2011).